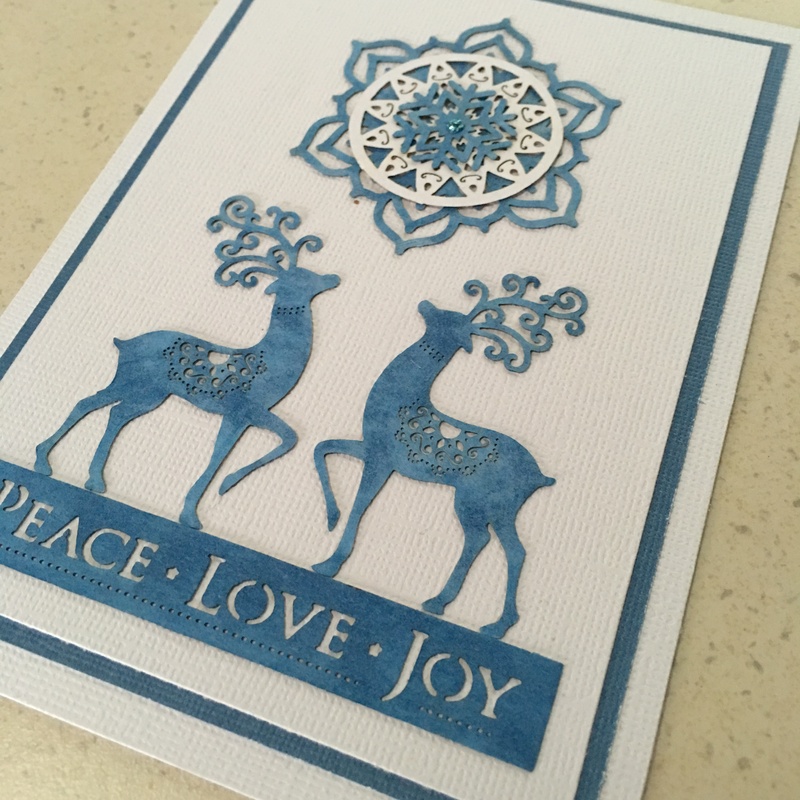 I have recently been working with the Hunkydory Silhouette range and have created some lovely simple designs that I thought would be good to share with you. It’s a lovely little Christmas affair. Yes, I know, Christmas isn’t for another 136 days, but hey, when you’ve got a workshop or two to squeeze in between now and then you’d best get a wiggle on. The card was fairly simple to create. Each of the laser cut shapes was trimmed from it’s carried sheet. Some of these where then coloured with alcohol markers and then the whole set were arranged and glued into place using PVA glue. The mat/layer were chosen to match the pen with which I had coloured the laser cuts with. Phew. Can’t believe I might actually get ahead for Christmas – and a workshop! Anyway, what do you think? Have you used these laser cut shapes already? If not, you should be able to find them over on the Create and Craft TV website. Thanks for stopping by and I’ve got a few more of these to share so I will pop by each day with a new one so don’t forget to come by again soon. I. Love all this new stuff, and happily dispose of my disposable income buying lots of lovely lovely stuff to stock my craft room. Hope it’s all going great John. Take it easy and enjoy your journey. My favourite colours. So simple, yet so pretty! Have you any idea yet what we will be doing at the North Wingfield workshop with Mel? No. Need to speak with Mel. Really simple, but effective design. Love the simplicity of this yet the level of detail in the cut out looks amazing. Might have to follow your lead and get a wiggle on with Christmas readiness. Thanks for sharing.